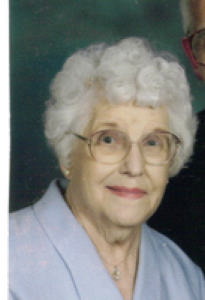 Katherine M. Mawhorr, 85, 340 S. Miami Ave., Sidney, Ohio, died at Fair Haven Shelby County Home, Sidney, Ohio on Tuesday, May 6, 2008 at 4:30 PM. She was born January 16, 1923 in Botkins, Ohio the daughter of John C. and Mary Nellie (Wiseman) Kinstler and they are deceased. She was married on April 15, 1944 to James L. Mawhorr and he died December 4, 2004. Surviving is one son, Dennis Mawhorr of Sidney, Ohio; four grandchildren, Julie and husband Rich Kremer of St. Joe; Kimberly and husband Fred Thomas of Kettering; Lori and husband Rock Bostick of Kettering and Amanda Fullenkamp of Lima, Ohio; two great-great grandsons and one step-great-granddaughter. Also surviving are two cousins, Bev Gross of Lakeview, Ohio and Larry Mawhorr of Bellefontaine, Ohio. A daughter, Janice Ann Fullenkamp and eight brothers and sisters are deceased. She was a graduate of Botkins High School and was a member of Holy Angels Catholic Church where she was a member of the Altar Rosary Society. She had been a cook at Holy Angels High School and Lehman High School for over 30 years. A Mass of Christian Burial will be held on Friday, May 9, 2008 at 10:30 AM at Holy Angels Catholic Church with Rev. Gerald Bensman. Burial will be at Graceland Cemetery, Sidney, Ohio. Friends may call at Salm-McGill and Tangeman Funeral Home on Thursday, May 8, 2008 from 4-8 PM. Memorial contributions may be made to Lehman High School, 2400 St. Mary&#39;s Rd., Sidney, Ohio 45365. Envelopes will also be available at the funeral home.